Responsible for some of the most esoteric and uncompromising music of the past four decades, multi-instrumentalist, composer, and bandleader Anthony Braxton is enjoying a resurgence in popularity, due in part to the critical acclaim afforded former students and current sidemen like Taylor Ho Bynum and Mary Halvorson. Braxton's work is one of constant evolution; each passing decade bears new modes of expression. His Falling Water Musics were preceded by Ghost Trance Music in the nineties and the ground-breaking multiple logic structures of the eighties, expertly realized by his classic quartet of pianist Marilyn Crispell, bassist Mark Dresser, and drummer Gerry Hemingway. Recorded in an especially fertile time period, Seven Compositions (Trio) 1989 documents a rare meeting with two avant-garde titans, Austrian bassist Adelhard Roidinger and British drummer Tony Oxley. 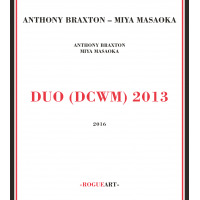 In 1988 Braxton declared that the individual parts of any of his compositions could be played simultaneously, in any combinationa collage-oriented aesthetic known as multiple logics. The limited use of such developments with artists outside his regular circle makes this reissue a unique highlight in an impressive discography. 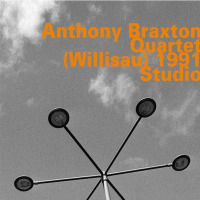 Drawing from a mix of seminal Braxton pieces, an Oxley original (written for Braxton), and a standard, the set is structured like a suite, with brief free improvisations used as bridges between the written material. Compressing seven tunes into three extended medleys, virtually seamless transitions blur the lines between the composed and the improvised. 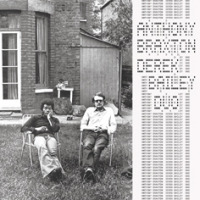 Navigating Braxton's intricate charts with fervid virtuosity, the trio adroitly shifts between rapid intervallic meters ("Composition 40D"), minimalist march-like pulses ("Composition 6A"), languid, bluesy introspection ("Composition 40G"), and impressionistic tone poems ("Composition 40J"). But it is a rousing deconstruction of the beloved Kern/Hammerstein chestnut "All The Things You Are" that exemplifies their keen rapport. Spanning a dramatic arc from caterwauling catharsis to fragmentary extrapolation, Braxton's reedy staccato cadences, Roidinger's throttling refrains and Oxley's roiling palpitations retain the song's harmonic underpinnings through a tumultuous range of emotions, before effortlessly segueing into Oxley's "The Angular Apron," a labyrinthine cluster of spectral flute, pointillist bass, and kaleidoscopic percussion. The trio's empathetic interplay is accented by a rich color palette; Roidinger's robust pizzicato and sonorous arco reveal rich chiaroscuro mirrored by Oxley's scintillating cymbal accents and thunderous trap set ruminations. The leader paints equally expressionistic vistas, veering from plangent restraint to coruscating frenzy, alternating between clarinet, flute, and assorted saxophones (sopranino to C-melody). 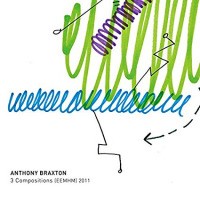 A harbinger of future developments, "Composition 110A (+108B+69J)" utilizes Braxton's multiple logics to generate a hushed polyphonic collage of febrile clarinet, limber arco, and skittering percussionfragments of three different compositions played simultaneously. 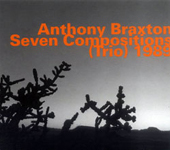 An essential reissue from his voluminous discography, Seven Compositions (Trio) 1989 is a telling document of Braxton's versatility as an innovative composer and congenial collaborator. Track Listing: Composition 40D/Composition 40G (+63); All The Things You Are/The Angular Apron/Composition 6A; Composition 40J/Composition 110A (+108B+69J). 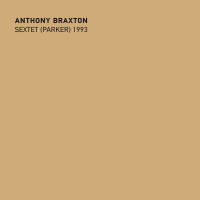 Personnel: Anthony Braxton: alto, C-melody, soprano and sopranino saxophones, clarinet, flute; Adelhard Roidinger: double-bass; Tony Oxley: drums.